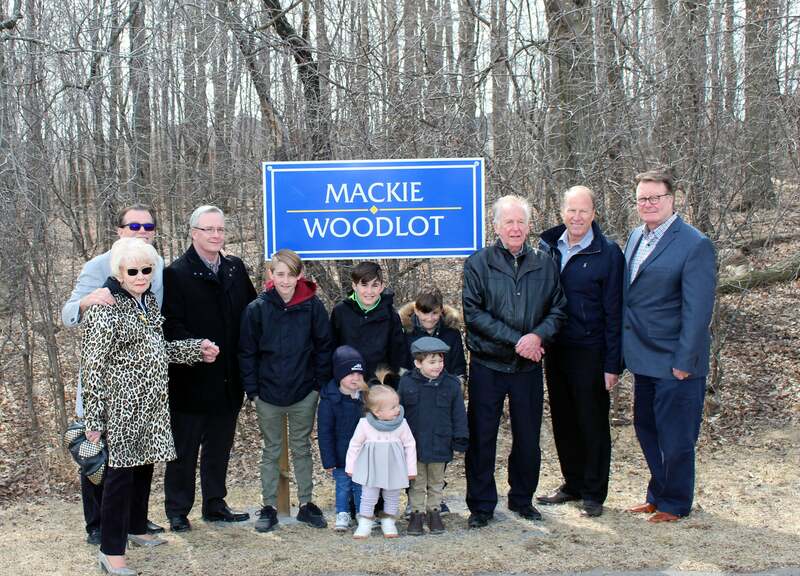 OSHAWA – Today, the Mackie Family was honoured and recognized for their long-standing commitment and contribution to Oshawa at a park and woodlot dedication ceremony. Springridge Park, located at 1449 Conlin Road East, was renamed Mackie Park and the existing woodlot within the park was named Mackie Woodlot. The Mackie Group of Companies was started in Oshawa in the early 1900s by Scottish immigrant Charlie Mackie. Charlie started, like many trucker drivers with one truck. He transported tomatoes from the Port Hope area to Campbell’s Soup in Etobicoke, as well as travelled around Northern Ontario. The Mackie Group is a fifth generation family business and is a 100 per cent privately owned, Canadian company. This year marks their 90th anniversary! The Mackie Group has grown to over 700 employees with facilities located in Calgary, Edmonton, Fredericton, Halifax, Markham, Middleton, Mississauga, Moncton, Montreal and Oshawa. In 2003, the Mackie Group expanded its business and opened Mackie Harley-Davidson across the highway from its Oshawa headquarters. The dealership was recognized as dealer of the year by Harley-Davidson Canada in 2015. The Mackies pride themselves on having a partnership approach to business resulting in many long-standing client relationships and having the largest specialized transportation network in Canada. 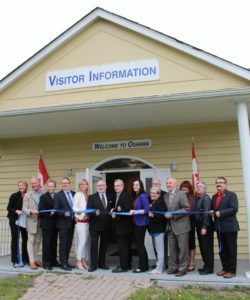 The Mackies are also known for their generosity in supporting local organizations as well as their contributions towards education and health care. For more information about the Mackie Group, visit www.mackiegroup.com/about-us. Mackie Park provides a number of recreational opportunities where families of all ages can enjoy the playground, basketball half court and sports fields or relax under the gazebo. To learn more, visit Mackie Park.